A fun night out ends in murder. 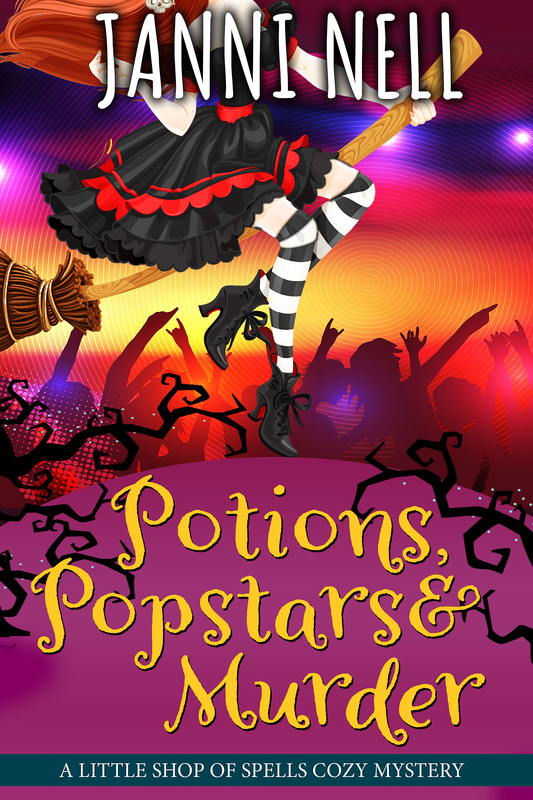 When small-town witch Maddie Goodcharm attends the opening of a new nightclub, she doesn’t expect to find the body of a famous singer. Maddie suspects foul play, but the authorities are convinced the death is accidental. Case closed. Maddie decides to follow her instincts and dig deeper, but life doesn’t stop simply because she has a murder to solve. She also has to run her shop, mix potions, and rehabilitate Jason, who is suffering the aftereffects of a spell gone wrong. Keeping all those balls in the air won’t be easy. Especially when her investigation uncovers old secrets and lies that put her life in danger. Can she catch the killer before the killer catches her?